Our code is largely written in Perl and Go using PostgreSQL and Linux. We maintain high standards for our development practices. All new code is expected to include automated tests run by TeamCity, and all work goes through internal code review on GitHub Enterprise. We use free software as much as possible, and we release code back to the community when this makes sense. We maintain high standards for our development practices. All new code is expected to include automated tests, and all work goes through code review on our internal GitHub system. Founded in 2002, MaxMind is an industry-leading provider of IP intelligence and online fraud detection tools. 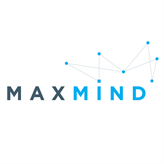 MaxMind is privately held and based in Waltham, Massachusetts. MaxMind provides IP intelligence through the GeoIP brand. Over 5,000 companies use GeoIP data to locate their Internet visitors and show them relevant content and ads, perform analytics, enforce digital rights, and efficiently route Internet traffic. Businesses can obtain additional insights into their customers' connection speeds, ISPs, and more using GeoIP data. MaxMind's industry-leading minFraud service helps businesses prevent fraudulent online transactions and reduce manual review. The minFraud service is used to screen over 175 million e-commerce transactions and account registrations a month. Over 7,000 e-commerce and other online businesses benefit from the minFraud service through our client and partner networks.